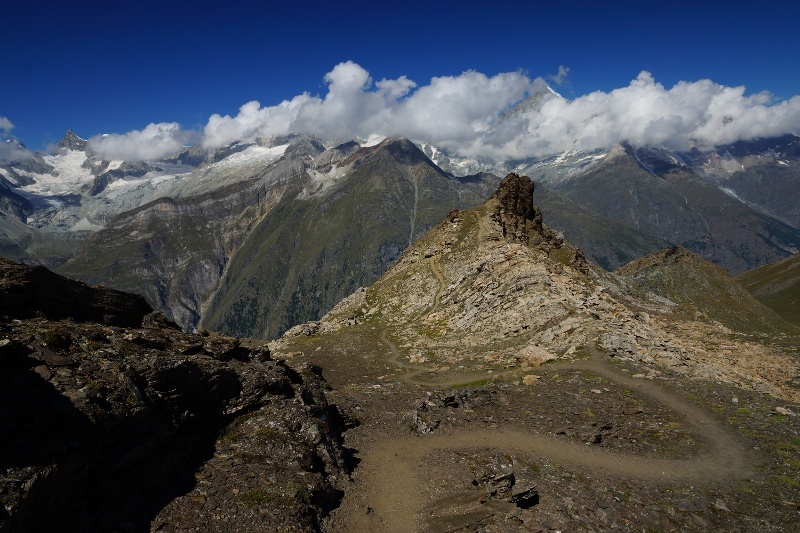 This steep trail rewards hikers with magnificent views on both sides: of the Alpine panorama with dramatic 4,000-metre peaks, and way down to Zermatt and into a small, secluded side valley. 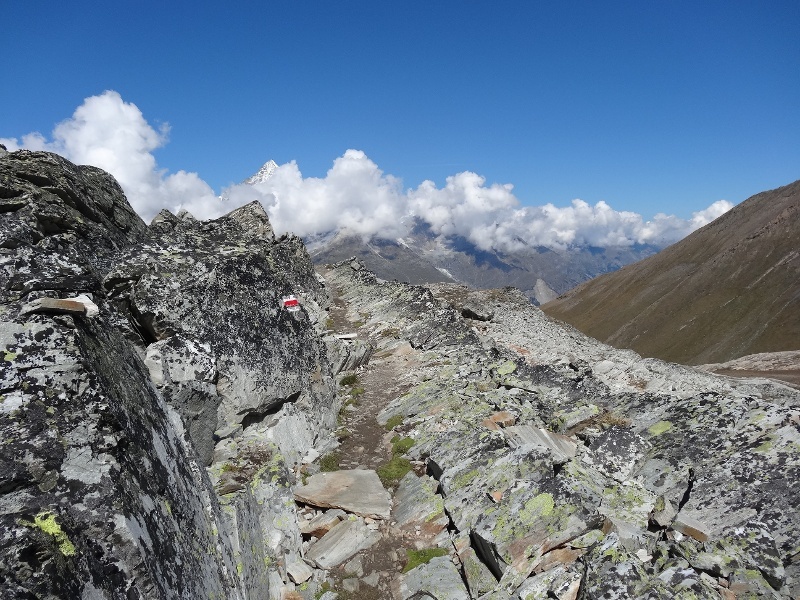 This route fully lives up to its name (Adventure Path), tackling 900 vertical metres over a distance of 4.1 km. In other words, a steep descent – or a challenging climb. Either way, it promises a thrilling hike. The view from the Ritzengrat ridge into the small and secluded Tufterkumme valley may reveal a surprise or two – such as a sighting of chamois. 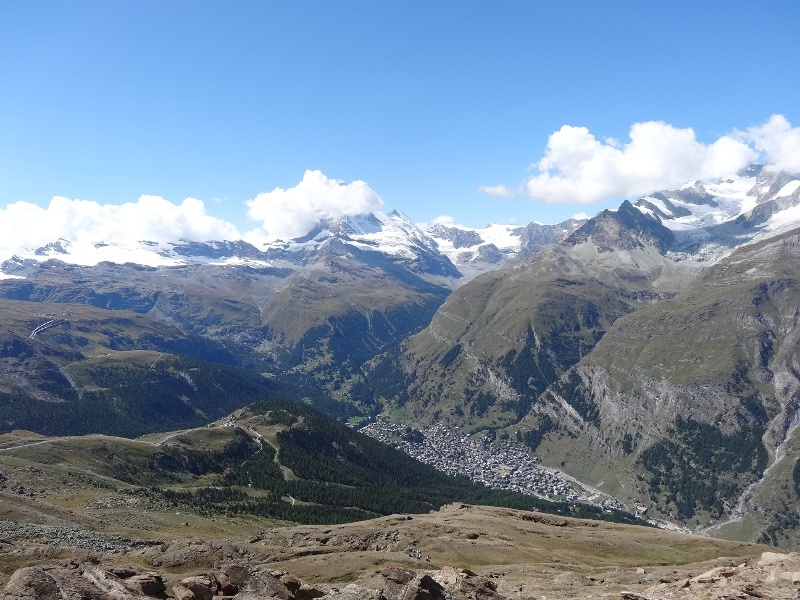 Impressive views of the Matterhorn, Weisshorn and other dramatic peaks. Good chances of spotting wildlife. Best times: early morning and evening. 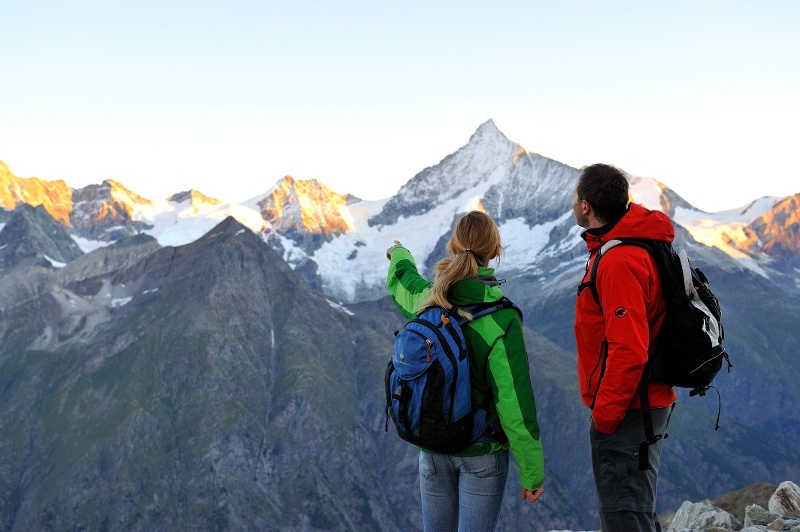 Depending on season, the sunset on the Matterhorn is especially beautiful seen from here.